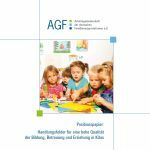 The alliance “7 % für Kinder“ (english: “7 % for kids“) calls for a reduced VAT of 7 per cent on products and services for children. A variety of material and activities is used to direct public attention. “7 % für Kinder” addresses general public as well as decision makers. The campaign’s website: On http://7fuerkinder.de you can find plenty of information and news concerning the campaign and (reduced) VAT in general (mainly in German). Start of the campaign on 17th May 2011 in front of Brandenburg Gate in Berlin: Children, parents and passers-by form a human seven. Poster advertising: The campaign’s poster motifs were put up in public transport and subway stations in Berlin in May 2011. Online petition: Internet users can express their support by signing an appeal to policy-makers for a reduced VAT rate of 7 per cent on products and services for children. 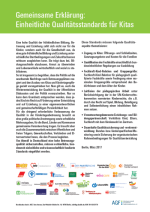 Dissemination in print media: The alliance presents the campaign in its member’s magazines, newsletters etc. Distribution of campaign material: Flyers and other advertising and information material will be distributed at numerous events. For online order see the campaign’s website. 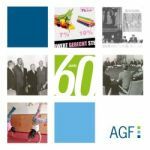 Join-in-activity for kids: AGF takes up the issue on the occasion of the international children’s festival at FEZ Berlin. Social media: Activities and other contributions related to the initiative can be followed via facebook and youtube. You will be informed about any new developments and activities of the initiative in the news area of the campaign’s website (mainly in German).